Is The J.P. Morgan Healthcare Conference Still Relevant? January 5, 2018 by Joon Yun, M.D. The 36th annual J.P. Morgan Healthcare Conference, happening in San Francisco, has become the Burning Man of biotechnology. It’s no longer the under-the-radar West Coast pilgrimage of eclectic pioneers gathering to have brief encounters with interesting people, share insights about drugs, and behold a blossoming movement. Like Burning Man, the Conference in 2018 is mainstream. At least Jamie Dimon, the keynote speaker, won’t be wearing a pink tutu. 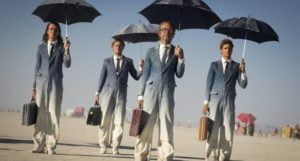 With success comes congestion—those who have been to both agree that Burning Man is the lesser fire hazard. In the gridlocked corridors, old-timers small-talk about the way things used to be. Nostalgia reigns, and so does the status game among attendees as to what year they lost their Conference virginity (mine was the same year I went to my first Burning Man). December 20, 2015 by Joon Yun, M.D. 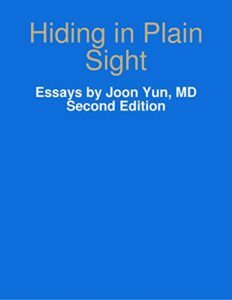 Collection of essays on investing, healthcare, and life from the unique perspective of Dr. Joon Yun, a renown investor and thinker. Dr. Yun is President of Palo Alto Investors, LLC, a hedge fund founded in 1989 with over $1 billion in assets under management. Dr. Yun has been a healthcare specialist at the firm for 15 years and has been an early investor in companies that develop drugs and devices for unmet medical needs. Dr. Yun is board certified in Radiology and served on the clinical staff at Stanford Hospital from 2000-2006. He received his B.A. 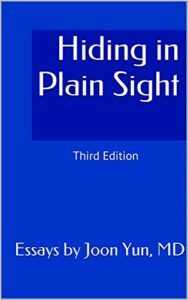 from Harvard College in 1990 and his M.D. from Duke Medical School in 1994. He has served on corporate and nonprofit boards and is a founder of Palo Alto Institute, a nonprofit foundation and think tank. Dr. Yun has published numerous patents as well as medical and business articles. His writing covers several topics, including evolution, investing, and the future of healthcare. Dr. Yun is a contributor to Forbes and Evolution: This View of Life. August 19, 2015 by Joon Yun, M.D. Is Heart Rate Variability the best biomarker of the time to track our longevity? In this episode, we look at why HRV may be the best way to track how well you are aging and the bets being placed on it in Silicon Valley to drive innovation in anti-aging and longevity research. Previously we’ve looked at using HRV for training and recovery, stress management, and tracking hormesis. If you are new to biohacking, HRV is an easy economical way to start tracking. All one needs is a heart rate strap and phone app. April 21, 2015 by Joon Yun, M.D. Do we have enough talent in healthcare? Learn how the 21st century is poised to become “The Healthcare Century,” and why Humans need apply. Dr. Joon Yun is managing partner and president of Palo Alto Investors, LLC, an investment management firm founded in 1989 with $1 billion in assets invested in healthcare. Board certified in Radiology, Joon served on the clinical faculty at Stanford from 2000-2006. He received his B.A. from Harvard, M.D. from Duke Medical School, and clinical training at Stanford. Joon has served on several corporate and non-profit boards and has published dozens of patents, scientific articles, and business essays. He is a contributor to Forbes and is the health editor for Evolution magazine. Joon recently agreed to donate a $1million Palo Alto Prize to reverse the aging process. February 3, 2015 by Joon Yun, M.D. 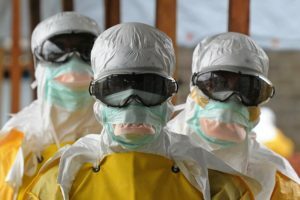 A World Bank report estimated that the 2014 GDP toll, directly and indirectly, attributable to the recent Ebola outbreak in Africa will be between $2.2 billion and $7.4 billion. A World Bank report estimated that the 2014 GDP toll, directly and indirectly, attributable to the recent Ebola outbreak in Africa will be between $2.2 billion and $7.4 billion. The viral outbreak has infected 14,000 people. If so, what is the implied economic benefit—in terms of averted GDP loss—of health innovations that rid the world of the bubonic plague, which once killed an estimated one-third of the global population in 5 years, and smallpox, which killed an estimated 300 million people last century? What is the implied economic benefit of health innovations that now allow those infected with the human immunodeficiency virus (HIV)—which has killed 32 million people globally—to be able to live as long as uninfected individuals? Earlier in 2014, a media furor arose over another virus, hepatitis C. As companies usher in the first curative drugs for this deadly viral pandemic that has already infected 130 million people globally, politicians are tripping over themselves in a rush to crucify the pharmaceutical industry on drug pricing. While a debate rages about the cost of these drugs, it is also important to contemplate and calculate the implied GDP benefit—the health dividend, if you will—accrued by economies made healthier by these innovations. The public is generally unaware that they are collecting this health dividend because the human mind tends to overlook averted losses despite its significant economic value. November 3, 2014 by Joon Yun, M.D. Fear is contagious. Natural selection has wired us to sense fear in our surroundings and make it our own. 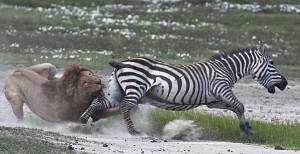 Zebras might not get ulcers from chronic stress but those that fail to activate their acute stress response when others around them are stressed are more likely to miss cues of threat and be consumed by a predator. Absorbing secondhand stress from others is a survival instinct—an adaptation shaped by prehistoric environments to promote evolutionary fitness. However, our culture is evolving faster than our ability to biologically evolve. Too often, we helplessly rubberneck trainwreck events—often sensationalized by media for attracting attention and profit—despite their remote connection to our personal survival. For example, fear of the Ebola virus in recent weeks has become more viral than the virus itself. In the modern technology age where fear memes can spread around the globe near-instantly, our tendency to absorb secondhand stress from our ubiquitous, 24/7 media culture to activate our own stress response can produce maladaptive responses that are out of proportion to the actual threat. September 5, 2014 by Joon Yun, M.D. May 14, 2014 by Joon Yun, M.D. Stewardship is defined as the responsibility to shepherd and safeguard the interests of others. Many of us are in positions of stewardship on behalf of others in public corporations, private enterprises, and charitable organizations. 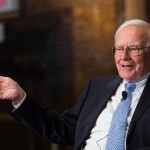 Warren Buffett, perhaps the most widely followed business leader of our time, speaks often of the importance of stewardship in business. It is striking, then, to see the dearth of courses discussing the concept of stewardship at top American business schools. Who Will Own The Future of Healthcare? April 4, 2014 by Joon Yun, M.D. Not long ago, consumers could access health information about as easily as they could access plutonium. This is changing rapidly in the information age. As a result, consumers—rather than doctors, government, insurers, hospitals, or healthcare companies—will own the Healthcare Century. Any healthcare institution that ignores this trend does so at its peril. Before the information age, consumers were almost entirely beholden to their physicians for information about health and disease. 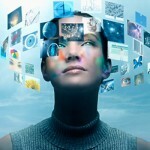 Now, consumers increasingly educate themselves using the Internet to learn about their health, illnesses, and symptoms. Every day, the patient-doctor relationship becomes more of a partnership as patients come up the learning curve. December 6, 2012 by Joon Yun, M.D. We’ve all heard the thesis on real estate investing: “They’re not making any more land.” It turns out that before too long we may not be making enough people either. Global population has been expanding since antiquity, interrupted by wars, disasters, pandemics, and famine. Malthusian predictions of overpopulation, unsustainability, and resource depletion have also been a part of conventional wisdom since antiquity and remain popular today (see Paul Gilding’s “The Earth is Full” TED talk). It is, after all, a common trait of the human mind to assume that the past is an accurate predictor of the future.